Br. Asad Ansari & Guest Lecturers. 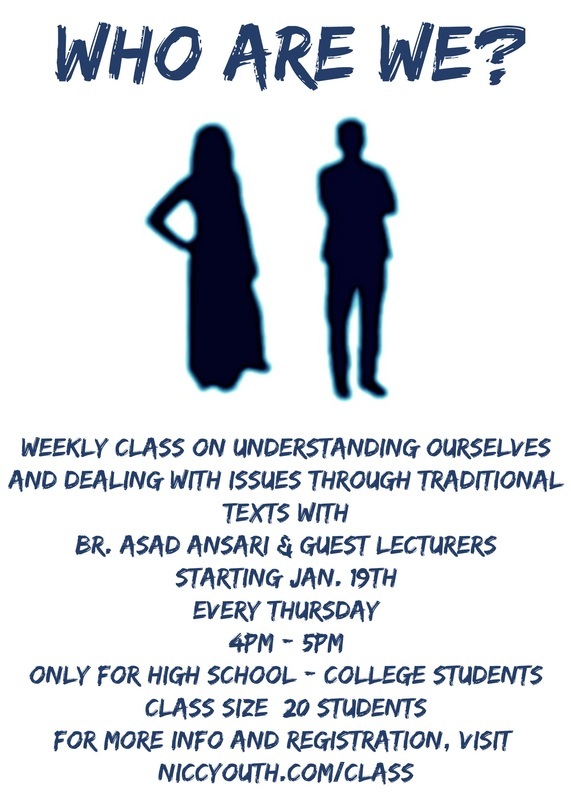 The class will review the following texts: 40 Hadith by Imam Nawawi, Ayyuhal Walad by Imam Ghazali, Creed of Imam Tahawi, Hikm of Ibn Ata Allah Al-Iskandari, Kitabul Ilm by Imam Ghazali and others.